Disney (NYSE:DIS) and Fox shareholders have voted yes to the pending $71.3 billion purchase of 21st Century Fox (NASDAQ:FOXA). The move comes just a week after Comcast (NASDAQ:CMCSA) retracted its failed bid of $65 billion dollars to take over the media giant. While Disney is the ultimate winner here, remember their original offer was for $52.4 billion; Comcast ended up costing Disney almost $20 billion. Disney was able to clear regulatory and anti-competitive pressure by agreeing to sell-off Fox’s local sports affiliates so don’t worry NFL fans, no bouncing mouse animations on your Sunday afternoon football games. What Disney does in fact get is substantial. The company will receive almost all of 21CF’s assets including their original 30% stake in the streaming platform Hulu which was previously split up 30% Disney, 30% Comcast, 30% Fox, and 10% AT&T (via WarnerMedia acquisition) WarnerMedia acquisition). This gives Disney a majority 60% stake in the streaming service which ties in nicely to rumors circulating that Disney is launching its own streaming service in 2019. The move is part of Disney’s strategy to become a tier 1 content provider along the lines of Netflix. (NASDAQ:NFLX). Yesteryear’s leverage came from owning the conduit into peoples homes, now the internet has democratized distribution and it has become all about content that people choose to pay for which is ultimately why Disney is forking out over $70 billion for 21CF’s IP. 21CF already owns 39% of European pay-TV company Sky PLC and was bidding$32 billion to buy out the remainder of the company and now that deal is unsure. Disney will receive the 39% stake that they currently have. 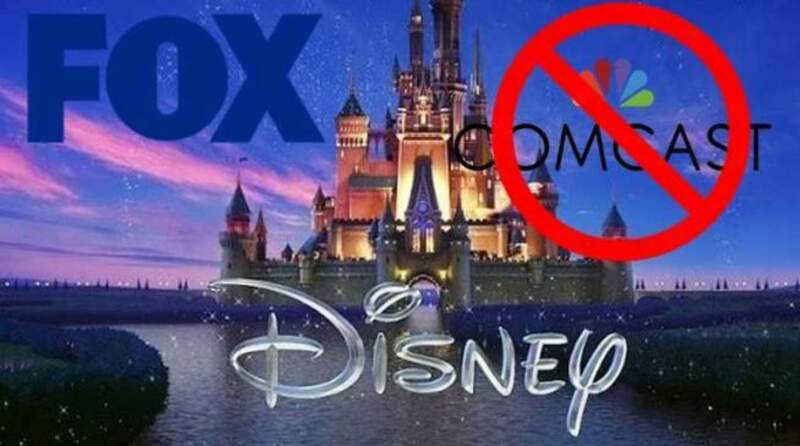 Disney’s offer of a combination of stock and cash was seen as a more favorable setup which would impose lesser tax liabilities on Fox-majority stakeholders, the Murdoch family. Rupert Murdoch will go on to head the newly minted “New Fox” which will include Fox Broadcasting Co, Fox News, and Fox Sports.